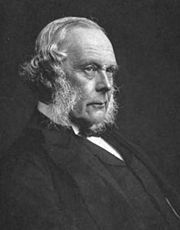 Joseph Lister, 1st Baron Lister (April 5, 1827–February 10, 1912) was an English surgeon and professor of surgery who introduced antiseptic surgical techniques. He is sometimes known as the "father of modern surgery" because of his overcoming one of the major obstacles to successful surgery, the control of infection. He successfully introduced carbolic acid (phenol) to sterilize surgical instruments and to clean wounds, among other surgical techniques developed. Lister's ideas went against the prevailing paradigm of surgery, although there were forerunners such as Florence Nightingale that advanced important techniques, and Louis Pasteur's work paved the way for Lister's procedures. Acceptance of Lister's methods took time, but his principles of antiseptic surgery, which he first published in 1867, had garnered nearly universal acceptance by 1875. In his later life, Lister was widely recognized for his accomplishments. 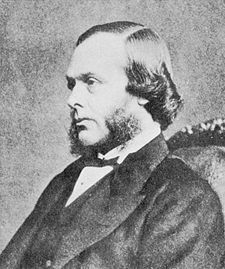 Joseph Lister was born on April 5, 1827 in Upton, Essex, England, the second of three children born to Joseph Jackson Lister, a pioneer of the compound microscope. A successful wine merchant and an amateur scientist, Joseph Jackson Lister designed a microscope lens that did not distort colors—a contribution that lead to his being made a Fellow of the Royal Society, a prestigious British scientific association (Lamont 1992). Joseph Lister came from a prosperous Quaker home and attended Quaker schools in Hertfordshire and London. At these schools, science subjects were emphasized and he also became fluent in French and German which were also the leading languages of medical research (Nuland 2005). Joseph Lister then attended the University of London, one of only a few institutions that was open to Quakers at that time. He graduated with a Bachelor of Arts degree in 1847 at the age of 25. He then contracted smallpox and after he was recovered, he attended the University of London as a medical student, qualifying as a doctor in 1850 and obtaining bachelor's degrees in medicine and Surgery and being presented with two university gold medals for his outstanding grades. In 1852, he became a Fellow of the Royal College of Surgeons (Lamont 1992). In 1853, Joseph Lister went to Scotland to spend time with surgeon James Syme at the University of Edinburgh. Professor Syme was considered one of, if not the greatest teacher of surgery at that time (Lamont 1992). Lister stayed there and in 1854 became his assistant. Three years later, he married Agnes Syme, James Syme's daughter, and left the Quaker faith, becoming a member of the Episcopal Church with Agnes. For their honeymoon, they spent 3 months visiting leading medical centers (Hospitals and Universities) in France and Germany, by this time Agnes was enamored of medical research and partnered with him in the laboratory for the rest of his life, writing up his notes and helping with experiments. Since being a medical student, Lister not only studied and practiced medicine, but also conducted medical research, such as exploring the actions of muscles in the eye and skin, the mechanisms involved in blood coagulation, and the role of blood vessels during early stages of infections. His research culminated in his being recognized in 1860, as his father was before him, as a Fellow of the Royal Society (Lamont 1992). One of the great historical obstacles for successful surgery has been the control of infection. There was a high death rate from infection, also known as sepsis. In some European hospitals, as many as 80 percent of the surgery patients died, and in the Edinburgh Hospital, where Lister worked, about half of the surgery patients died (Lamont 1992). At the time, the usual explanations for wound infection was that they arose spontaneously inside the wound or that the exposed tissues were damaged by chemicals in the air or via a stinking "miasma" in the air. The sick wards actually smelled bad, not due to a "miasma" but due to the rotting of wounds. Hospital wards were occasionally aired out at midday, but Florence Nightingale's doctrine of fresh air was still seen as science fiction. Nightingale had found that increased cleanliness reduced the death rate from infection, but her ideas had not found widespread acceptance at the time of Lister, with the underlying cause not yet understood (Lamont 1992). Facilities for washing hands or the patient's wounds did not exist and it was even considered unnecessary for the surgeon to wash his hands before he saw a patient. The work of Ignaz Semmelweis and Oliver Wendell Holmes were not heeded. Unconvinced of the inevitability of infection, Lister began to search for an "antisepsis" method—a means to prevent infection. He noticed that patients whose broken bones pierced the skin and exposed the wound to the air had a high death rate from infection, whereas those who has simple fractures without an external wound recovered. Lister began himself to wash his hands before surgical operations and wearing clean clothes, a procedure that was ridiculed by some of this colleagues (Lamont 1992). In 1860, Lister he earned a professorship of surgery at the University of Glasgow. At this time, he became aware of a paper published (in French) by the French chemist Louis Pasteur which showed that rotting and fermentation could occur without any oxygen if microorganisms were present. Lister confirmed this with his own experiments. If microorganisms were causing gangrene, the problem was how to get rid of them. Pasteur suggested three methods: filter, heat, or expose them to chemical solutions. The first two were inappropriate in a human wound, so Lister experimented with the third. Lister also made surgeons wear clean gloves and wash their hands before and after operations with 5 percent carbolic acid solutions. Instruments were also washed in the same solution and assistants sprayed the solution in the operating theater. One of his conclusions was to stop using porous natural materials in manufacturing the handles of medical instruments. Lister would acknowledge Pasteur's foundational contribution, thanking him personally in a letter in February 1874 ("thanks for having, by your brilliant researches, proved to me the truth of the germ theory. You furnished me with the principle ion which alone the antiseptic system can be carried out" (Tiner 1990, 11; Lamont 1992). Lister left Glasgow in 1869, returning to Edinburgh as successor to Syme as Professor of Surgery at the University of Edinburgh, and continued to develop improved methods of antisepsis and asepsis. He had great success there with his antisepsis procedure. His fame had spread by then and audiences of 400 often came to hear him lecture. However, widespread acceptance of his procedures was slow, as some doctors did not take the time to consider his ideas, some applied his ideas but incorrectly and without adequate success, the procedures added expense, and some doctors found it difficult to believe in infection being caused by living organisms too small to see (Lamont 1992). Eventually, as the germ theory of disease became more widely accepted, his ideas gained more acceptance. Doctors from Germany and Denmark were the first to widely employ his antiseptic principle and had such successes as the dropping of the death rate from infection in Munich from 80 percent to nearly zero. By 1875, Lister was receiving acclaim in Europe, although most doctors in England lagged behind, only beginning to be won over in 1877 when Lister became Professor of Surgery at King's College Hospital in London. By 1879, Lister's antiseptic surgery method had gained nearly universal acceptance (Lamont 1992). Lister has been called, variously, the "father of modern antisepsis (or antiseptics)," the "father of modern medicine" (Tiner 1990), and the "father of modern surgery" (Lamont 1992; Truax 1944). At King's College Hospital in London, where Lister served as Professor of Surgery beginning in 1877, he was able to develop new surgical techniques. These were a consequence of his sterilization procedures as it now became possible to leave sterilized materials inside the patient. In 1877, he developed the technique of tying broken bones together with silver wire that was sterilized and in 1880 used sterilized catgut for internal stitching with the catgut subsequently dissolving. He also improved the technique of mastectomy and introduced the use of rubber drainage tubes (Lamont 1992). Lister retired from practice after his wife, who had long helped him in research, died in 1893 in Italy, during one of the few holidays they allowed themselves. Studying and writing lost appeal for him and he sank into religious melancholy. Despite suffering a stroke, he still came into the public light from time to time. Edward VII came down with appendicitis two days before his coronation. The surgeons did not dare operate without consulting Britain's leading surgical authority. The king later told Lister "I know that if it had not been for you and your work, I wouldn't be sitting here today." Lister died on February 10, 1912 at his country home in Walmer, Kent at the age of 84. After a funeral service at Westminster Abbey, he was buried at Hampstead Cemetery, Fortune Green, London in a plot to the south-west of central chapel. Throughout his life, Lister was a committed Christian who wrote "I am a believer in the fundamental doctrines of Christianity" and of whom it was said that he was a "gentle, shy, unassuming man" who was "firm in his purpose because he humbly believed himself to be directed by God" (Lamont 1992). In 1893, Queen Victoria (to whom Lister had served many years as surgeon) made him Sir John Lister, and in 1897 he was given the title of Baron Lister of Lyme Regis. In 1902, he became one of the 12 original members of the Order of Merit. In later years, he became Vice President of the Royal College of Surgeons, President of the Royal Society (1895-1900), and President of the British Association for the Advancement of Science. The British Institute of Preventative Medicine, which Lister helped to establish in 1891, was renamed the Lister Institute in 1903 (Lamont 1992). In 1879, Listerine mouthwash was named after him for his work in antisepsis. Also named in his honor is the bacterial genus Listeria, typified by the food-borne pathogen Listeria monocytogenes. Following his death, a Memorial Fund was set up in his name to honor his memory. Several lectures and statues were funded or established in this way. Eventually, in 1924, the Memorial Fund was used to establish the Lister Medal, which became the most prestigious prize that could be awarded to a surgeon. Lister is one of the two surgeons in the United Kingdom who have the honor of having a public monument in London. Lister's stands in Portland Place (the other surgeon is John Hunter). There is a statue of Lister in Kelvingrove Park, Glasgow, celebrating his links with the city. Bankston, J. 2005. Joseph Lister and The Story of Antiseptics. Hockessin, Del: Mitchell Lane Publishers. ISBN 1584152621. Cameron, H. C. 1948. Joseph Lister, The Friend of Man. London: William Heinemann Medical Books Ltd.
Farmer, L. 1962. Master Surgeon: A Biography of Joseph Lister. New York: Harper. Fisher, R. B. 1977. Joseph Lister, 1827-1912. New York: Stein and Day. ISBN 0812821564. Goldman, M. 1987. Lister Ward. Boston: A. Hilger. ISBN 0852745621. Godlee, R. J. 1917. Lord Lister. London: Macmillan. Lamont, A. 1992. Joseph Lister: Father of modern surgery. Creation 14(2):48–51. Retrieved January 8, 2009. Leeson, J. R. 1927. Lister As I Knew Him. London: Baillière, Tindall and Cox. McTavish, D. 1992. Joseph Lister. Pioneers of science. New York: Bookwright Press. ISBN 0531184617. Nuland, S. B. 2005. Doctors: The History of Scientific Medicine Revealed Through Biography. Chantilly, VA: Teaching Co. ISBN 1598030302. Truax, Rhoda. 1944. Joseph Lister: Father of Modern Surgery. Indianapolis: The Bobbs-Merrill company. Turner, A. Logan. 1927. Joseph, Baron Lister. Centenary volume. 1827-1927. Edinburgh: Oliver & Boyd. Walker, K. 1956. Joseph Lister. London: Hutchinson. History of "Joseph Lister, 1st Baron Lister"
This page was last modified on 9 August 2014, at 22:37.